Count on the staff at Simply Sara’s to provide you with incredible handmade baked goods. Our one-of-a-kind handmade cookies and delectables are made to order and feature a crunchy goodness you will not find anywhere else. 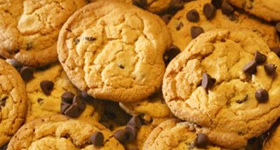 Our menu includes an assortment of cookies and brownies that satisfy everyone’s “goodie” loving taste buds. Call us today at (904) 387-1000 to ask about our products. ALL FLAVORS ARE NOT AVAILABLE ALL THE TIME, IN ORDER TO ENSURE THE FRESHNESS OF OUR PRODUCTS. This popular cookie is reminiscent of what your grandmother might make. They contain creamy semi-sweet chocolate chips that truly melt in your mouth. Our chocolate chip cookies are so light and crispy; you can eat the whole box in one sitting. 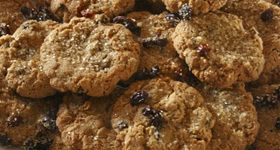 As popular as our chocolate chip cookies, these cookies feature old-fashioned rolled oats, juicy raisins, just a hint of spices, and a glistening sugar covering. They are one of our chef’s favorites. 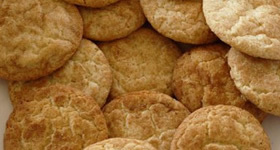 We make thick and crunchy peanut butter cookies that are hand rolled in sugar and loaded with fresh peanut flavor. This is a kind, sweet, and good-hearted cookie. 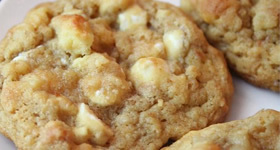 Some even call it the quintessential white chocolate chip cookie. 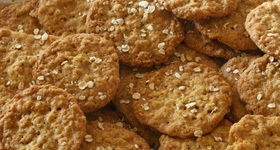 These cookies are crispy and light with a secret ingredient you’d never imagine in a recipe of these cookies. If you’re a white chocolate lover, these cookies are made for you! 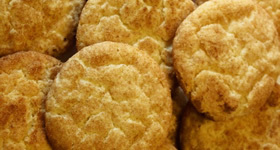 We found the recipe for these cookies in our owner’s mother-in-law’s special recipe box. It was obviously written by someone from generations ago. This old-fashioned cookie is thin, light, and extremely crispy. They are meant to be eaten by the fistful. Our chewies feature the rich and decadent tastes of butter, brown sugar and pecans. For the non-chocolate lover – and even chocolate lovers – these are to be eaten slowly and enjoyed with either a hot cup of coffee or a tall glass of ice-cold milk. 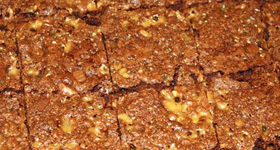 We make rich, fudgy chocolate brownies topped with milk chocolate morsels and a generous sprinkling of toffee bits. 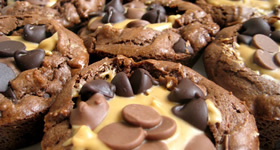 They are a sure hit for anyone that might like a brownie with flair. Our business offers a rich, chocolaty brownie “cupcake” with a peanut butter cup in the center. It’s the perfect ratio of chocolate to peanut butter. 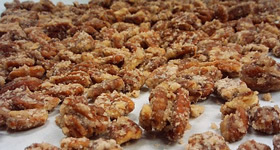 We feature candied pecans made with brown sugar and a hint of citrus. They are baked to a golden brown and enjoyed by anyone who happens to love pecans.